Do you have photos, historical accounts or other items pertaining to the Hovland area? Would you like to share this historical information with the world? LakesnWoods.com would like to publish your Hovland photos (current or historical) or historical accounts on this website. Original materials can be returned and your privacy will be respected. 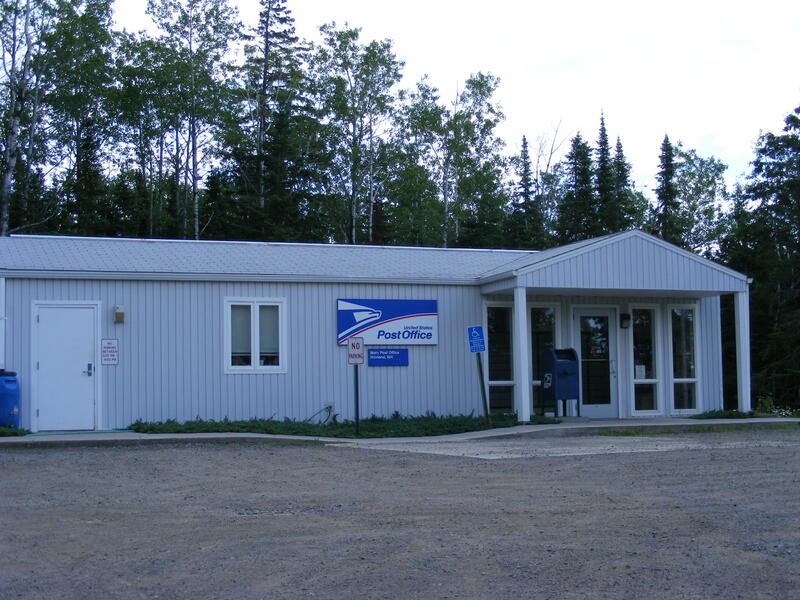 Hovland is an unincorporated community in Cook County, Minnesota located in the East Cook unorganized territory. Minnesota State Highway 61 is the major route in the area. 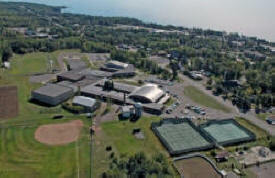 Hovland is located 18 miles northeast of the city of Grand Marais; and 16 miles southwest of Grand Portage. 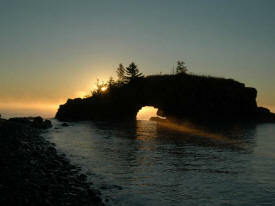 Hovland is located within the Grand Portage State Forest. Judge C. R. Magney State Park is nearby. As of the census of 2000, there were 814 people, 372 households, and 233 families residing in the unorganized territory. The population density was 2.1 people per square mile (0.8/km²). There were 1,128 housing units at an average density of 2.9/sq mi (1.1/km²). The racial makeup of the unorganized territory was 95.70% White, 1.11% Black or African American, 0.86% Native American, 0.61% Asian, 0.74% from other races, and 0.98% from two or more races. Hispanic or Latino of any race were 1.23% of the population. There were 372 households out of which 21.5% had children under the age of 18 living with them, 57.5% were married couples living together, 3.2% had a female householder with no husband present, and 37.1% were non-families. 29.6% of all households were made up of individuals and 8.9% had someone living alone who was 65 years of age or older. The average household size was 2.19 and the average family size was 2.73. In the unorganized territory the population was spread out with 19.2% under the age of 18, 4.7% from 18 to 24, 23.6% from 25 to 44, 37.8% from 45 to 64, and 14.7% who were 65 years of age or older. The median age was 46 years. For every 100 females, there were 112.0 males. For every 100 females age 18 and over, there were 109.6 males. The median income for a household in the unorganized territory was $41,786, and the median income for a family was $49,444. Males had a median income of $31,010 versus $26,827 for females. 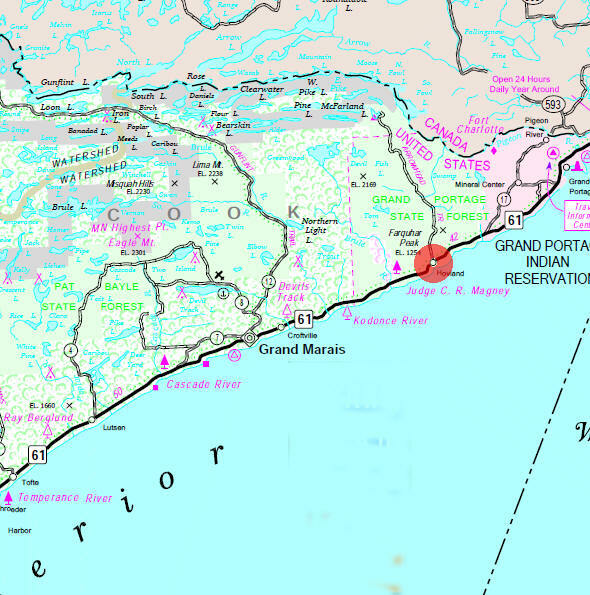 The per capita income for the unorganized territory was $21,728. About 11.8% of families and 13.7% of the population were below the poverty line, including 16.2% of those under age 18 and 7.4% of those age 65 or over. 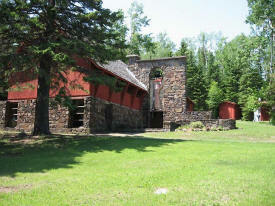 Hovland was settled during the late 1880s by fishermen of primarily Scandinavian ancestry. 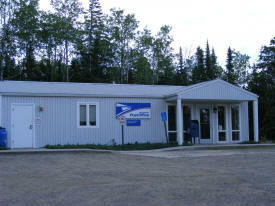 Hovland post office was established in 1889, named after settler Ole Brunes' place of origin in Norway. The Trefoldighets Evangelisk Norsk Lutherske menighet, a Hauge Synod Lutheran congregation, was organized in 1909. The congregation continues as Trinity Lutheran and is noted for the distinctive architecture of its stone church, begun in 1947. 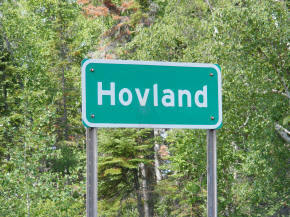 HOVLAND, the oldest organized township of this county, is in compliment to a pioneer settler named Brunes for his native place in Norway. The village is located in section 20. In 1888 Ole Brunes and Nels Ludwig Eliasen, two Norwegian carpenters from Duluth, built a log cabin on Brunes's homestead, the two families living together until Eliasen finished a cabin on the adjoining homestead, and other settlers followed. Fishing, logging, and trapping were the principal occupations. Until the post office was established in 1889, the community was called Chicago for the bay on which it is located, that name being used primarily by the Booth Packing Company as their ship's regular stop to pick up fishermen's boxes and barrels. 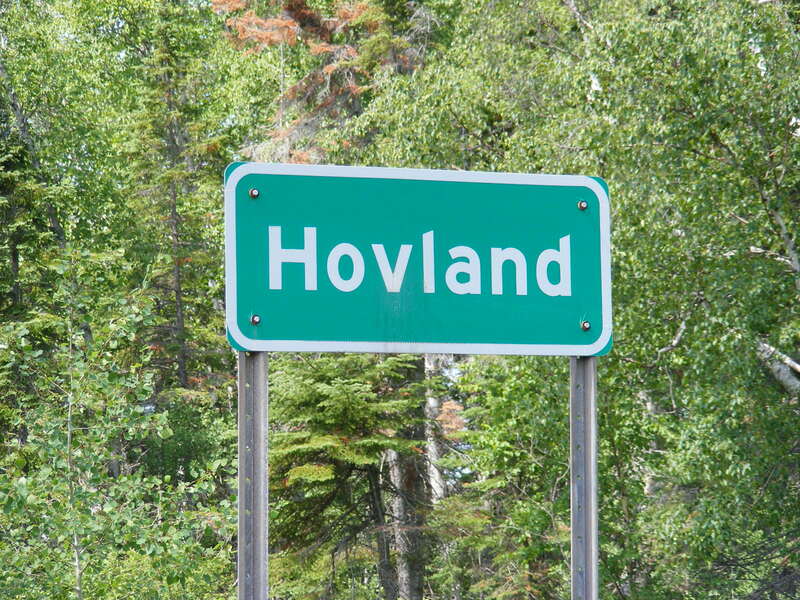 The name was rejected by local residents because it was a corruption of the Ojibwe word Shikag/Jikag, meaning "skunk"; the name Hovland was submitted by Anna Brunes, taken from her grandfather's estate in Norway. Come for the quiet, the solitude, and the famous Devil's Kettle waterfall. The most popular hike leads from the trailhead upstream along the Brule River to Devil's Kettle, where the river splits around a mass of volcanic rock. Half of the river plunges 50 feet into a pool, while the rest pours into a huge pothole. 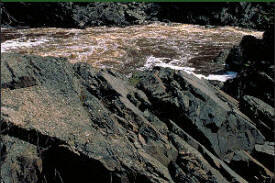 Anglers can catch brook and rainbow trout in the Brule River or its tributary, Gauthier Creek. The park offers camping, picnicking and hiking. 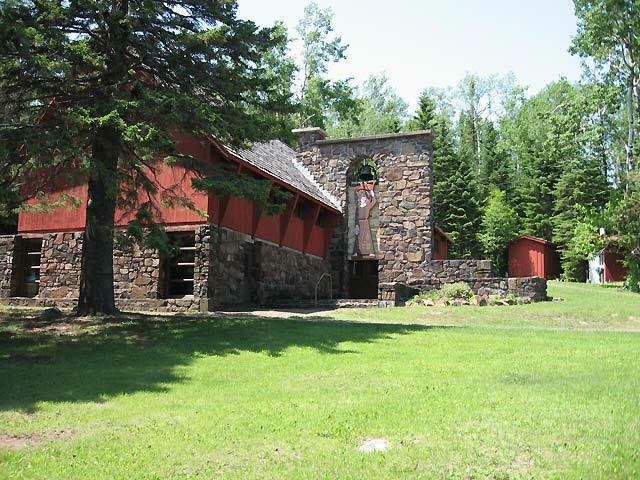 Thirty five miles East of Grand Marais on the most Northeastern tip of Minnesota on a peninsula jetting out into Lake Superior you will find a small relaxing resort called Hollow Rock. Bring your boat, fishing tackle, hiking shoes or your favorite book and knitting basket. This is a quiet hide-a-way in a very unspoiled place. Established in 2003 by outdoor writer Shawn Perich, North Shore Press is devoted to producing quality books and traveler’s guides devoted to Lake Superior and the north country. On this site you will also find a selection of travel, fishing, and hunting books by Shawn Perich and other authors and photographers.